When most people hear “New York,” they immediately think of the Big Apple. Though the city is an extraordinary place, there is an equally-beautiful place that often gets overlooked: Upstate New York. Home of some of the most stunning natural landmarks, Upstate New York is a great idea for a vacation destination. Amid the numerous Upstate attractions, I have selected three that I feel are exceptionally vital to visit. If you enjoy hiking and just being surrounded by breathtakingly beautiful nature, then take a trip to Landis Arboretum. 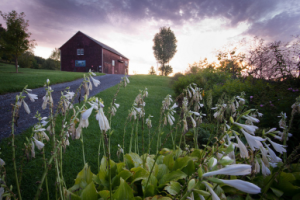 This 548-acre site is a public garden that overlooks the historic Schoharie Valley. Forty acres of the garden contains trees, shrubs and perennials, while the rest is dedicated to woodlands, natural areas, wetlands, and over eight miles of trails. Open from dawn to dusk every day, Landis Arboretum is a prime Upstate natural oasis that is sure to impress nature lovers from all over the world. You can’t take a trip to Upstate New York without visiting the famous and incredible Niagara Falls. You can view the majestic waterfalls from above on the Observation Tower, or from below on the Maid of the Mist boat tour. Also check out the various tourist spots on site, including Cave of the Winds, Goat Island, Prospect Point, Terrapin Point, Three Sisters Islands, and more. Along with the beautiful sites, enjoy some free outdoor concerts, festivals, wine tasting, and various entertaining events. 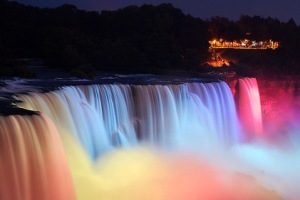 With hundreds of attractions and things to do in Niagara Falls year-round, you will never experience a dull moment. 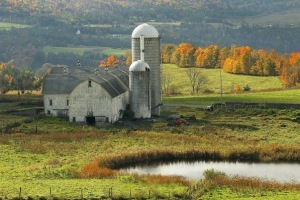 If you have interest in history and historic sites, then look no further for an Upstate NY daytrip destination. Fort Ticonderoga, a remote post on Lake Champlain that was used to guard the waterway connecting New France with Britain’s American colonies, is just the place you’re looking for. During the American Revolution, the first major American victory in its struggle for independence took place at Fort Ticonderoga. Not only does this attraction offer a view of this prime historic landmark, but it also offers activities for the whole family, such as daily programs, special tours, hands-on activities, musical performances, reenactments, and historic trades workshops. Stop in at Fort Ticonderoga for an exciting and educational daytrip attraction. For more ideas for fun attractions in Upstate New York, check out our all-inclusive guides to the best New York attractions and sightseeing in New York.